(VEN) - The selection of Vietnam as the host of the Asia-Pacific Economic Cooperation (APEC) forum in 2017, and Da Nang as the host of the APEC Economic Leaders’ Week 2017 at the end of the year will offer golden opportunities for businesses seeking to participate in the global value chain. 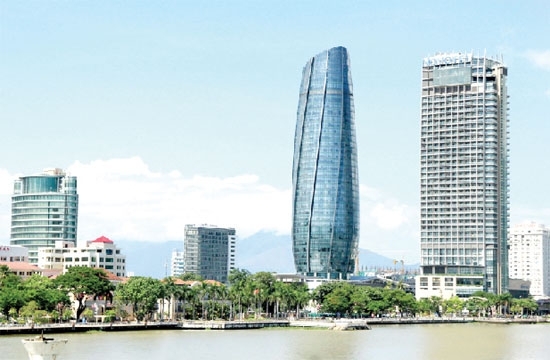 Da Nang People’s Committee Deputy Chairman Ho Ky Minh recently said that Vietnam has pursued an active role in international organizations and forums, including the 21-nation APEC forum. Over nearly 20 years, the forum has contributed to accelerating Vietnam’s growth and socio-economic development, opening the door for Vietnamese enterprises to enter a huge market with favorable conditions. Through commitments and initiatives of APEC member countries, businesses have joined this global trend. This will be the second time in 10 years that Vietnam hosts APEC, providing opportunities for the country to expand its international integration and promote multilateral external relations. Nguyen Minh Vu, the deputy head of the APEC 2017 National Secretariat, said that with the theme “Creating a new momentum and cultivating the future”, APEC will offer opportunities for micro, small and medium-sized enterprises to promote links with regional businesses. In addition, local businesses will access new business thinking and technologies, and participate in training courses to improve their capabilities. Entrepreneurs will also benefit by the APEC Business Travel Card (ABTC) that enables business travelers pre-cleared, facilitated, short-term entry into member states rather than having to individually apply for visas or entry permits. Card holders also benefit from faster immigration processing on arrival via access to fast-track entry and exit through special APEC lanes at major airports in 19 out of 21 participating economies. Nearly 40,000 Vietnamese entrepreneurs have been provided with the ABTC and have enjoyed its benefits. Vu Tien Loc, the chairman of the Vietnam Chamber of Commerce and Industry (VCCI), said that businesses participating in APEC 2017 will be offered opportunities to catch up with global trends in order to build their vision and appropriate administration models. With a market of around 2.8 billion people and favorable conditions, Vietnamese businesses will be able to expand their trade and investment. In addition, through meetings and public-private dialogues within working groups, Vietnamese businesses will have opportunities to introduce their potential to partners. unprecedented opportunities for businesses to participate in international integration.